Discussion in 'Sevenstring Guitars' started by Jaspergep, Jan 18, 2017. Just got my dream guitar! 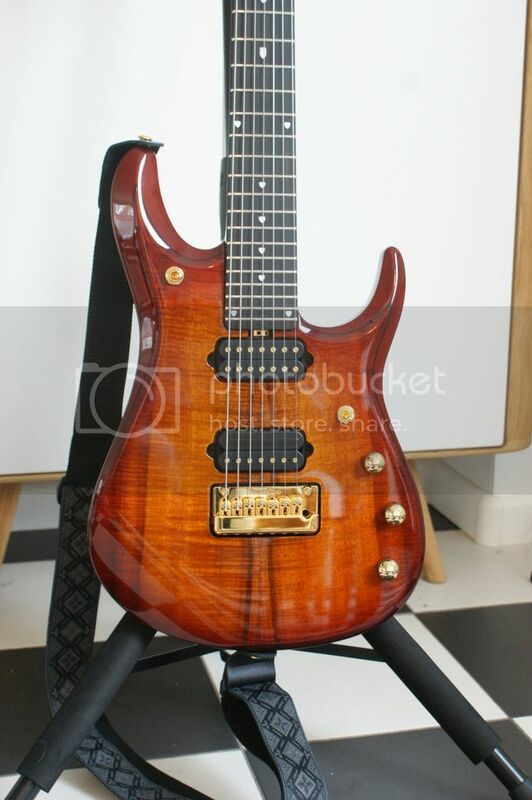 After saving up for a very long time I could finally get myself a new guitar that I looked after for a long time. 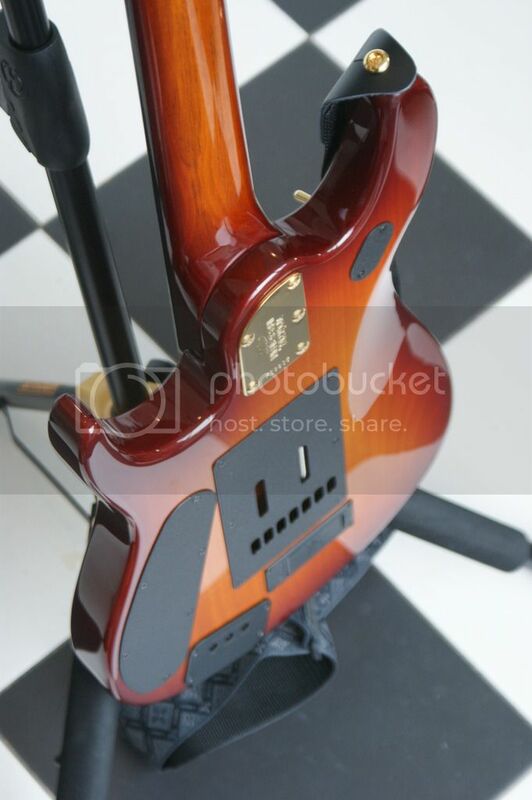 I wanted to get a MusicMan because the wood choices are great and this guitar $hreds. So I got myself a JP7 Koa. I'll be playing on this in my band Raven Called Sin shortly! It took long enough to build, just short of 7 months with shipping included. It plays like a dream and the Crunchlab/LiquiFire combo sounds great, even though I might swap them out for some BKP's Juggernauts. Centrix, odibrom, Vinchester and 22 others like this. That looks classy as hell man, wish you all the best of playing it. I've been touch and go with saving for one of them for years, but never pulled the trigger for one reason or another. Thanks guys! My girlfriend took the pics. Since I will be playing in drop A and this guitar has a 25.5 inch scale length, I will put some .64's on this beast. Never owned a JP but this would be the one if I did. Congrats sir. Congrats! I've always thought the BFR Koa was the best looking model. Did EBMM custom spec this for you with the longer scale length? You mentioned the build took 7 months? Hey man HNGD! I'm saving up for a JP7 model myself. 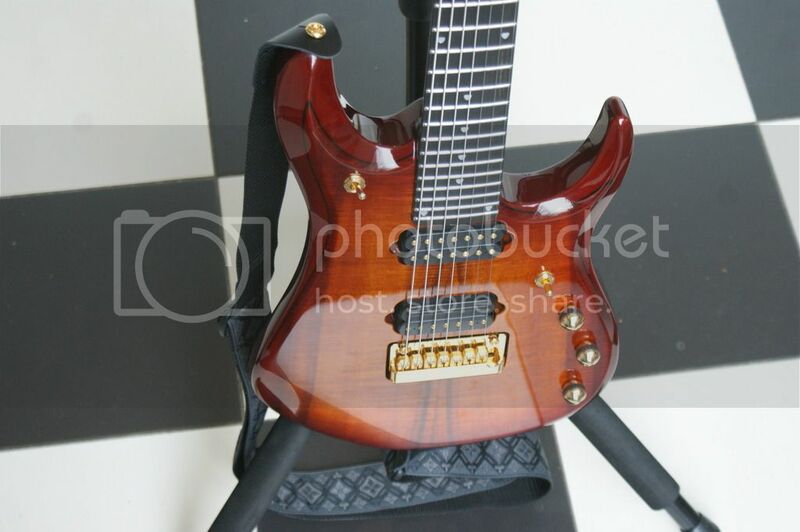 I'm trying to find the right mix if the BFR quilt or flame tops had ebony fretboards I'd be sold. 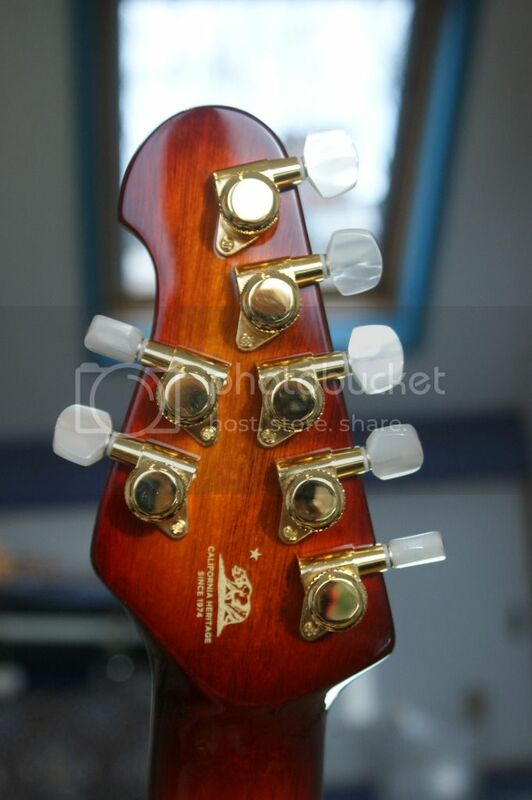 I love the bear on the back of the headstock but I noticed there not on all BFR's. 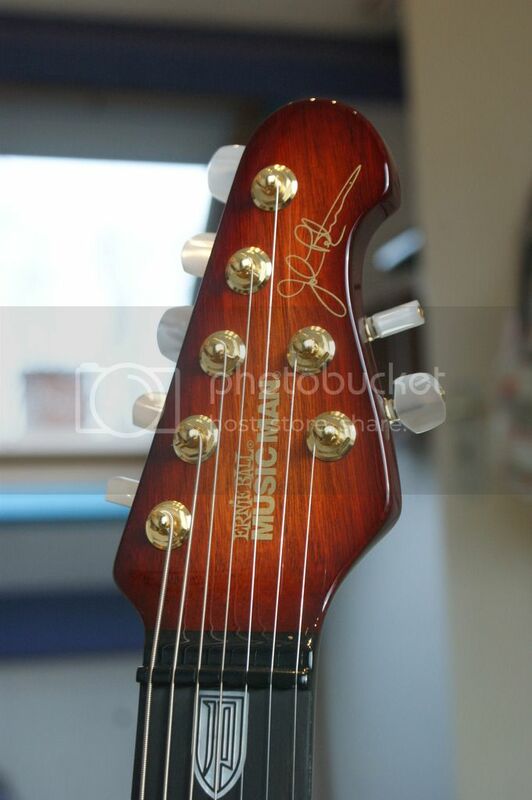 How do they choose which guitars they put it on? As far as I know, all EBMM guitars have this new logo now. Do you know when this started? I'm looking at fairly new models without it. Like 2015, did they just start it this year? 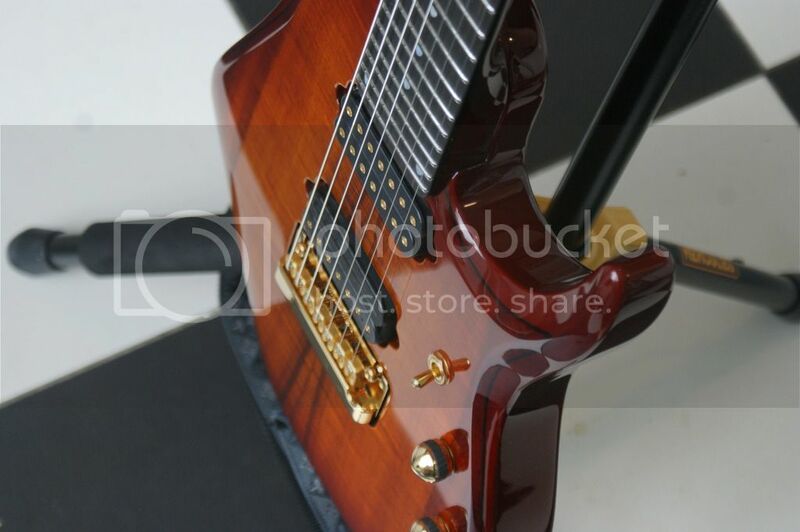 No this guitar comes standard with the 25.5 inch scale length. EBMM doesn't do any custom specifications. It is just being made on order because shops don't stock these a lot normally. Doesn't that new logo have to something to do with, now under California law, you can't say "made in USA" anymore unless that majority of the guitar and parts are sourced or made the USA? Don't want to hijack the thread, but a simple google search will give more info around it.